I wrote this article a few months ago as we at DODO watched as Nigerian executives began to grasp the value of using design methods in their corporations. A few months later, I am updating the post, as it has gained in popularity, birthed many opportunities, and as companies continue to see the value. As a strong advocate of using design to help tackle complex problems in business and beyond, I am both excited and energized as business leaders in Nigeria gain insight into what this potent method can do for their organizations, irrespective of the industry. If you haven’t read, you should check out the post below. 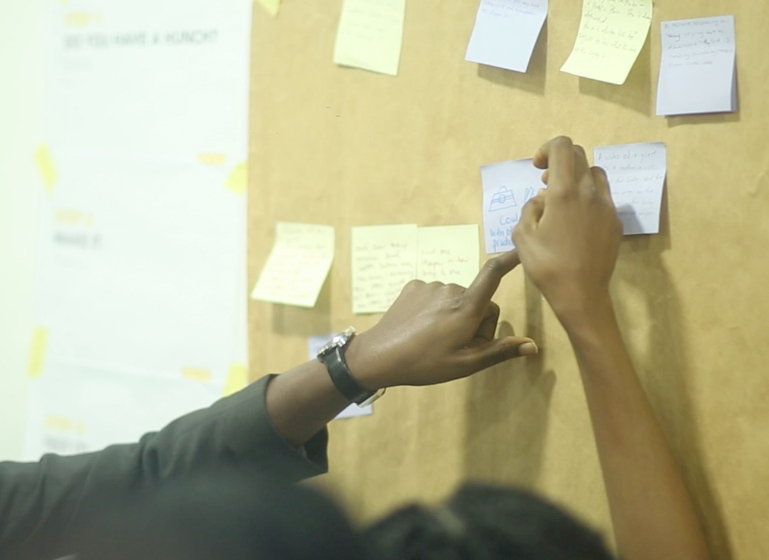 So what is Design Thinking, and most importantly how does it benefit a business in Nigeria today? Design thinking simply put is a methodology or a framework for creatively solving problems. In 2004, Bank of America was facing a problem many banks are all too familiar with, ‘how to get more customers to open bank accounts’. In their quest for a solution, they engaged a design agency to help. After spending a few months studying the behaviours of customers, they discovered an insight around a certain demographic. They found that with mothers especially, there was a pattern to which they balanced their chequebooks (at the time customers used physical chequebooks to balance personal spending). Within this people group and pattern, a solution was found. What ensued was the Keep the Change program, this program allowed the bank to round up customers’ expenses to the nearest dollar and automatically save it for them. So say, for example, I bought fuel for $30.50, the bank would round it up to $31 and .50 cents would be saved for me. After a period of time, the bank matches the customers' savings. As you would expect, this was very popular with customers. The program currently has about ’12.3 million customers’ in enrolment, since its inception, with a total of 60% new customers, saving more than 2 billion dollars’. As a customer of the bank then, I still remember the moment as a university student, when the banker told me about it. My jaw dropped! I quickly opened the account. Design thinking allows businesses to not only solve problems creatively, but it also allows them to master the discipline of understanding users' needs, in a way that even the customers themselves are unable to articulate. It takes from the designer’s process, using methods such as empathizing with people, experimentation and iteration, to come up with innovative solutions for businesses. Companies, like Bank of America, Apple, Google, Pepsi and more, have used methods from this framework in one way or another to capture customers’ hearts and wallets. The results are obvious for all to see. Even global non-profits like the Rockefeller foundation have keyed into it. We were hired a couple years back to use design thinking methods to help the Rockefeller foundation crack the tomato production problem we suffer here in Nigeria. 2. Secondly, the learned practice of understanding one’s customers. I say ‘learned’ because companies can adopt the practice as they go until it becomes a part of the company's work culture. Further, resources need to be invested in things like hiring design firms to study customers or building teams that understand the methods of researching users to gain deeper insights into them than what market research alone affords. Lastly, adopting the process of continuous learning products and services are developed within the company. The return on the investment, when done right, is worth it. You can read more about it if you're interested. We've written A LOT on this, highlighting through case studies how companies around the world leveraged methods from design thinking to grow. Save the link for when you have the time. It'll benefit your company for sure.